We presented “Re-purposing for Playtime” at the Vancouver Island Baby Fair mainstage this weekend. We hopped on one foot, ran with checker pieces between our knees and jumped up and down holding a muffin tin. All for the love of re-purposing. This is the first blog post in a series about ways to incorporate 50 common household items into play. – Over, under, around. Tables, chairs, couches. Then, bring on the hot wheels cars! – Start with a circle. End with a hexagon. Create shapes big enough to stand in on your carpet (or driveway) and On your mark, get set… octagon! A fun way for toddlers to learn shapes. – As we move into fall, play indoor hopscotch. – Pop the tape into your glove compartment or backpack and set up anobstacle course anywhere. If the tape balance beam, two-foot circle hop and go-backwards zig zag are too easy for you, try it with your arms taped to your sides. – Create a life-sized board game in one room or all around your home (and you become the play pieces). Use a die and work on counting. Brainstorm together on unexpected pit stops. – A must for any spy or police kit. Tape off the crime scene and outline the evidence. – Play house (in either life-size or doll-size) with a taped floor plan. Walls, chairs and even stylish pillows come to life with the sticky stuff.- A tape cast is the answer for anything from a stuffie sprain to a full-body doll cast. Add it to your pint-sized doctor’s kit. Anything to add to this list? We’d love to hear from you! Please post your ideas (and/or the ideas of your kids) and we’ll add them to our list. We’re not Einstein, but we definitely have some ideas to share with you about fun and unusual ways to use 50 common household items, from napkin rings to potato mashers, vent covers to golf tees. #3. How could you make “X” better? Welcome to the world of re-purposing, where you find other uses for an item than what was originally intended. We are passionate about using it in play to help spark the imagination of your children and inspire creativity. Because the future needs our creative kids. 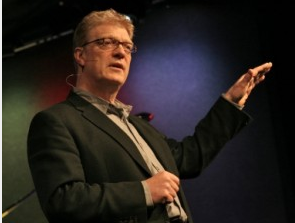 But according to international speaker and author Sir Ken Robinson, that’s not the path we are laying for our children (see video below). Share this with a friend, and let’s get the conversation started!